What is the waiver program? The Autism Waiver program offers up to $25,000 per year of intensive ASD support services for three years for each child selected. 1.) 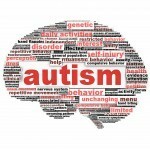 Parents who have children on the autism spectrum 0-9 years old. 2.) Parents who think intensive services are needed to support their child with autism spectrum disorder in the home and community (ABA, floor time, as well as respite and other services). 3.) Parents who think they might be eligible for MassHealth. Applications for the Autism Waiver Program must be postmarked between October 7, 2013 and October 18, 2013. Applications with postmarks before October 7 or after October 18 will be discarded. Even if you applied during the last open enrollment period, you must apply again between October 7 and October 18 to remain eligible for Autism Waiver services. Additional Information about this Waiver Program will soon be available on the Depratment of Developmental Services website at: www.mass.gov/DDS under ‘Autism Spectrum Services’ or contact 1-888-367-4435.